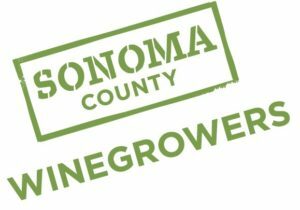 SANTA ROSA, Calif. (August 14, 2017) – Record winter rainfall, a mild spring, a scorching summer and a serious labor shortage are just some of the challenges Sonoma County winegrowers have experienced this year. 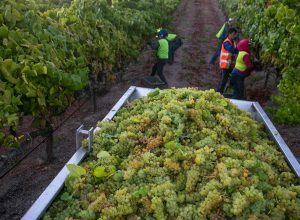 Being tested as never before, local winegrape farmers began the 2017 harvest for sparkling wines in some parts of Sonoma County last week with early expectations calling for a high-quality vintage crop of an average tonnage size. Green Valley:In the Green Valley AVA, Dutton Ranch’s J. Alfred Steele reports that the harvest is running about 6-10 days later than last year but, given the big canopies from three months of storing carbs from the epic rains, the grapes could ripen quickly and the start of harvest may move up. Right now veraison is on everywhere and it looks to be another great vintage. 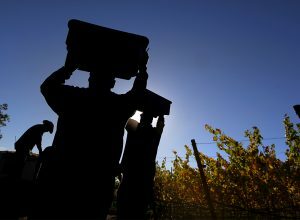 Labor remains the biggest threat in the region this harvest season. With harvest still weeks away in the Sonoma Valley AVA, all blocks are at least 50% into veraison or well on their way to finishing. 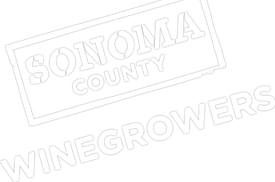 Taylor Serres, of Serres Ranch, reports there was a late start to the season in Sonoma Valley due to the long winter which did leave ample moisture in the soil and paid dividends throughout the growing season. The other primary current challenge in the vineyards this year has been successfully managing mildew issues which have been experienced throughout Sonoma County. 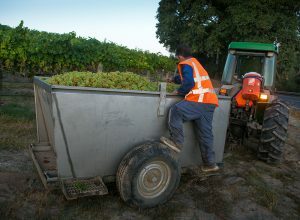 Overall, the quality of grapes looks really good particularly the Bordeaux varieties. Cluster counts appear to be similar to last year though Cabernet Franc seems lighter than last year. The one concern looking ahead is how fast and heavy the fruit will come in.